Marie Biancuzzo, Breastfeeding Outlook’s Director of Education, has more than 30 years’ experience as a clinical nurse specialist in all areas of maternal-child health. A recognized expert in childbearing and breastfeeding, Marie’’s current work focuses on helping mothers and babies get the care they need—primarily by training health professionals in evidence-based practices. 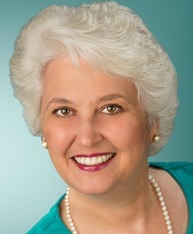 A founding member of the United States Breastfeeding Committee, and a past president of the Baby-Friendly USA Board of Directors, Marie has been certified by the American Nurses Association as a continuing education specialist, and she was twice chosen to serve on the National Council Licensure Examination (NCLEX) panel of experts that develop the RN licensing exam. She has also been recognized by the International Board of Lactation Consultant Examiners as a long-term provider of continuing education. She has also served on the faculty of three prestigious universities. Marie has educated thousands of health care professionals through in-person and online seminars and courses. Particularly popular are her Lactation Exam Review, Comprehensive Lactation Course, and Online Lactation Exam Review (podcast format)―educational offerings that help health care providers prepare to take the IBLCE exam. Marie is known for the high-quality of her educational programs, as well as her warmth, enthusiasm, and interactive teaching style. You can reach Marie through LinkedIn, Facebook, or at info@breastfeedingoutlook.com.